I love tea!! Each night I reward myself with a delicious cup of tea. I am excited to share with you a tea collection that is amazing. 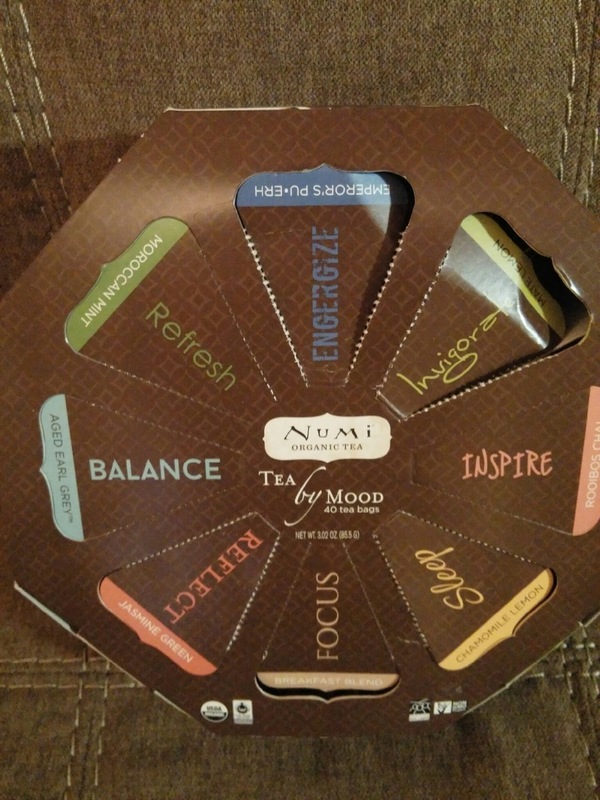 I was given the opportunity to review Numi Tea by Mood Gift Set. Each box contains five tea bags of the following eight organic and Fair Trade Certified teas and teasans (40 tea bags total): Breakfast Blend, Aged Earl Grey, Emperor’s Pu-erh, Jasmine Green, Mate Lemon, Rooibos Chai, Moroccan Mint, and Chamomile Lemon. The Tea by Mood is a perfect selection of teas. The teas are individually wrapped for freshness. This is a perfect gift for the Tea Lover on your Holiday list. A little about Numi Teas. 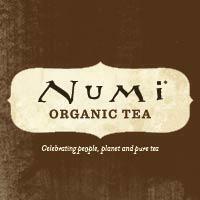 Numi hand picks premium organic teas. Since they use only real ingredients and high quality teas and herbs there is never any added flavoring or fragrances. Perfect natural flavor in every tea bag. The Tea by Mood is only $21.99 ~ they offer Free shipping for order over $39.00. Perfect one stop Holiday Shop! Oh my this is calling my name. I love my tea and to choose by mood would be fun. This is beautiful. I see it being a great holiday gift for both of my mothers-in-law. They both love special teas. I love tea, too! This is a beautiful set and I would buy one as a gift and one for me! I love tea too and usually enjoy a cup before bed! I love this set! My father is a huge fan of tea. I am going to get him this for Christmas. Such a neat idea as a gift for the tea lover in everyone's life! My mom would have loved this. I love tea too and the more tea the merrier in my kitchen I say. I know someone who would love this as a gift. These blends all sound really nice. I'd love nothing more than to have a new tea blend before bed each night. There is something soothing and decadent about a nice cup of hot tea that just doesn't happen with coffee. I have never tried Numi teas. I would love to get this gift box for my daughter, she loves tea. My DIL's mom is from England (dual citizenship). She loves tea and would love this as a gift to enjoy with her mom, while her mom is visiting.